Worldwide, there are more than 800 million Instagram accounts active every month and 500 million of those are active every day. 200 million Instagram users visit at least one business profile a day and 60% say that they discover new products on Instagram. Instagram has created a platform where businesses, especially small ones, can easily (and inexpensively) reach a greater number of people. Instagram is, without a doubt, the platform of the millennium. Be interesting. 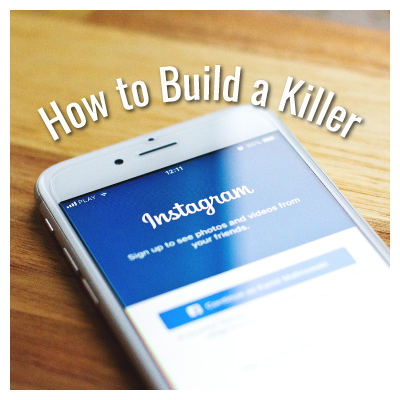 Your content should stop a scrolling thumb and garner a good double-tap. Get creative! Using marketing tools, like Canva, can help you create professional looking content quickly and easily. Engage your audience by keeping things fresh. You can do this by posting fun, silly things to your stories on FB or Instagram without interrupting the flow and brand on your feed. Showing off how multidimensional you can be will keep people coming back. Be relevant. Everything you post needs to be relevant to the reader and to your business goals. If the reader can’t relate or it doesn’t support your company ideals, you’re wasting your time. Do your best to stick to your brand: your fonts, your color palette, etc. Keep up with current trends and adapt as needed. For example, right now, videos are curating more engagement than pictures so you might focus on taking and posting more videos than photos. This is the part where you bridge the gap between what the reader is looking for and what you have to offer. Think before you post! Be authentic. The best way to be relatable is to be yourself. No one wants to talk to a billboard but they might want to talk to you. Use your own voice and don’t be afraid to put yourself out there! Get comfortable showing your audience the behind-the-scenes, the unedited photos and the works in progress. The more they get to know you, the more invested they will be in your offerings. Be consistent. This is especially important if you’re trying to turn your following into sales. If there are long periods of time when your followers don’t hear from you, they might forget about you. The average American sees 4,000 ads every single day. If you want to be remembered, you have to be consistent. Post often. Remembering to post every day is a challenge in and of itself. One way to overcome this is by using a platform that allows you to schedule your posts in advance. This way, you can have everything for the month or the week prepared at once and you can check it off your list! If you can master these skills, your page is pretty much guaranteed to grow and your business will grow right along with it. What are you waiting for? Get to posting!